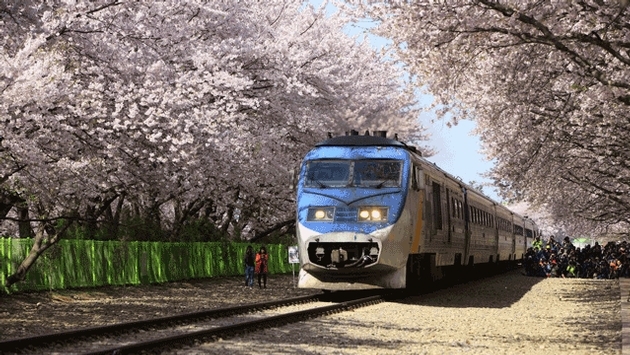 Korail, the Korea Railroad Corporation, began running the new KTX express trains in June. The new service offers a high speed link between Incheon International Airport and such major cities as Busan, Daejeon and Gwangju. The KTX trains from Busan Station, Jinju Station and Daejeon Station will also stop at Seoul Station before heading to the airport, while trains from Gwangju Station, Mokpo Station and Yeosu Station will stop by Yongsan Station before they head to Incheon International Airport. The Gyeongbu (Seoul-Busan) line will run 12 times, the Honam (Seoul-Mokpo) line four times, and the Jeolla and Gyeongjeon lines twice daily. Korail has also agreed with South Korea’s Immigration Service, Korean Air, Asiana Airlines and Jeju Air to install immigration checkpoints at Seoul Station, where the company operates a 43-minute express train to and from the airport. The new service will allow express train passengers to pass immigration at the station, saving time and hassle. Passengers of the three airlines can get boarding passes, go through security and drop baggage, essentially completing the pre-boarding process on the second floor of Seoul Station. According to the Korea Times, the process takes about 10 minutes. Express train service from Seoul Station skips 11 local stops on its way to Incheon. Tickets are priced at 8,000 won or about $9.